You may use the phrase “gut reaction” to describe what your instincts tell you about a particular situation. But it turns out that your gut offers much more than an emotional reaction – it processes food you eat in a way that is unique to you. For example, some people may feel energized and lose weight from eating a high protein and low carbohydrate diet, while others might not get the same benefit from eating the same foods. This occurs because each of us has a unique community of bacteria inside our digestive system, known as the gut microbiome. As a result, we each process the foods we eat differently. Researchers at Mayo Clinic Center for Individualized Medicine are exploring ways to analyze a person’s gut microbiome and then design a diet to maintain a person’s health and avoid the development of disease. “We have long wondered why one diet works for one person, but not another. Now, we are beginning to understand that how a person processes food depends upon that individual’s gut microbiome, immune system and the community of bacteria in the gut. This is where the concept of designing individualized diets was developed. 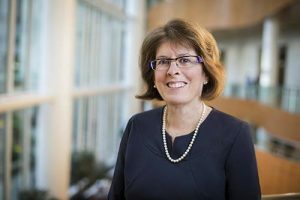 Given these multiple factors, we are exploring ways to develop customized diets that will maintain wellness and prevent the development of disease,” explains Heidi Nelson, M.D., director of the Mayo Clinic Center for Individualized Medicine Microbiome Program. As part of the effort to explore ways individualized diets can be used to improve health, Mayo Clinic is working with DayTwo Inc. to explore the use of microbiome data to advance individualized diet and wellness for patients. Researchers at DayTwo Inc. completed a study examining the impact of changes in diet on blood glucose levels, which show the level of sugar in the blood. Investigators developed a mathematical model to predict how people’s glucose level would change after eating a variety of foods. Based on that model, they were able to create customized diets appropriate for each person and control glucose levels. Researchers also provided participants with suggested meals, including their top five breakfasts, lunches and dinners, as well as appropriate snacks to maintain their health. “Glucose levels are abnormally high in patients with diabetes. If we can understand what causes high glucose levels, we may be able to prevent patients from developing prediabetes and type II diabetes. Often traditional interventions to control glucose levels have limited benefit for patients. These study results highlight the important role that personalized diets can play in maintaining better control over blood glucose levels and overall health,” says Dr. Nelson. Mayo Clinic researchers are working to validate DayTwo’s study at the Weizmann Institute of Science by examining the impact of diet on controlling blood glucose levels. Mayo investigators are also studying the microbiome and different responses to diets in the treatment of obesity, with the plan to develop customized diets for people to someday prevent and/or treat obesity and reduce obesity-related health issues. Mayo Clinic has a financial interest in DayTwo and will participate in DayTwo’s Series A funding round. Any revenue received will be reinvested in patient care research at Mayo Clinic.